On July 11th we reported that Dan Sullivan had gone to 100% cash. 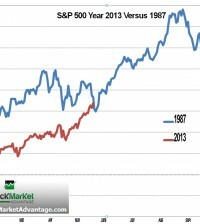 According to a self-penned piece at Moneyshow.com, Sullivan says he is fully invested again as of July 20th because the market broke out above the S&P 500 level of 950. He recommends AK Steel (AKS) and Arch Coal (ACI) as stocks to own as the market is breaking out.